PHOENIX, ARIZ. - The national law firm of Quarles & Brady LLP announced that Nicole France Stanton, a partner in the Firm's Phoenix office, will receive the "Al" Brooks Community Leadership Award from the Arizona Region of the Anti-Defamation League ("ADL"). The "Al" Brooks Community Leadership Award commemorates the life and accomplishments of Sumner "Al" Brooks, the first Jewish Mayor of Mesa. The award was established to pay tribute to people who, in the course of their daily lives, give back more than can be measured, for their lifelong dedication to humanitarian concerns, and activism that exemplifies the life of Brooks and the principles on which the Anti-Defamation League was founded. Stanton is being recognized for her leadership in fighting the nationwide epidemic of bullying in the schools. She will be honored at the Jerry J. Wisotsky Torch of Liberty dinner in November. "With Nicole, ADL has found a tremendous ally in the ongoing fight against bullying. She has used her 'anti-bullying pulpit' in exemplary fashion," stated Bill Straus, Arizona Regional Director of ADL and Miriam Weisman, Regional Board Chair. Stanton is a member of the Firm's Commercial Litigation Group. 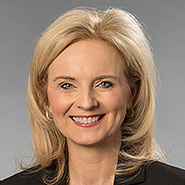 Her experience includes the defense of an actuarial and benefits consulting firm against professional liability claims brought by trustee and pension plans, the defense of local and national law firms in legal malpractice actions, and assisting in the defense of a telecommunications provider against alleged violating of the Arizona Consumer Fraud Act. She is a member of Charter 100 Women, serves as a founding board member and past president of the Women's Metropolitan Arts Council of the Phoenix Art Museum, and was an adjunct professor at Arizona State University Sandra Day O'Connor College of Law teaching professional responsibility. Earlier this month, Stanton received the 2012 Equality Award from the Human Rights Campaign for her anti-bullying initiative. ADL, founded in 1913, is the world's leading organization fighting anti-Semitism through programs and services that counteract hatred, prejudice and bigotry.